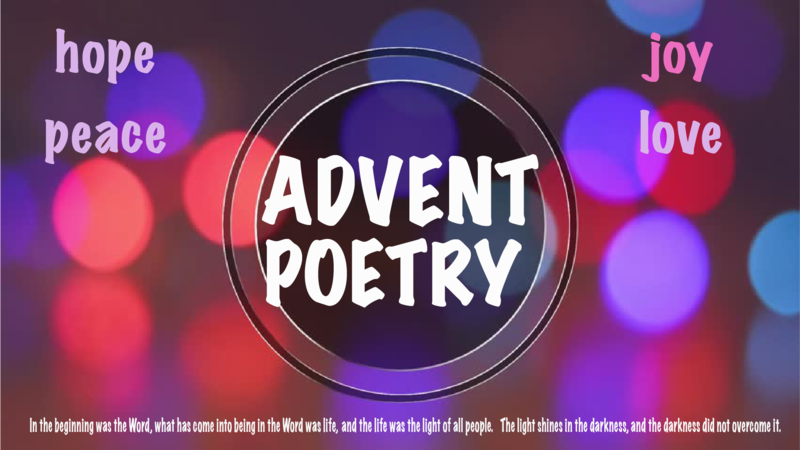 I discovered this poem entitled “Advent” by contemporary American poet Scott Cairns. I hope you enjoy it in this last week before Christmas. Well, it was beginning to look a lot like Christmas — everywhere, children eyeing the bright lights and colorful goods, traffic a good deal worse than usual, and most adults in view looking a little puzzled, blinking their eyes against the assault of stammering bulbs and public displays of goodwill. We were all embarrassed, frankly, the haves and the have-nots — all of us aware something had gone far wrong with an entire season, something had eluded us. And, well, it was strenuous, trying to recall what it was that had charmed us so, back when we were much smaller and more oblivious than not concerning the weather, mass marketing, the insufficiently hidden faces behind those white beards and other jolly gear. And there was something else: a general diminishment whose symptoms included the Xs in Xmas, shortened tempers, and the aggressive abandon with which most celebrants seemed to push their shiny cars about. All of this seemed to accumulate like wet snow, or like the fog with which our habitual inversion tried to choke us, or to blank us out altogether, so that, of a given night, all that appeared over the mess we had made of the season was what might be described as a nearly obscured radiance, just visible through the gauze, either the moon disguised by a winter veil, or some lost star — isolated, distant, sadly dismissing of us, and of all our expertly managed scene. To contemplate the wonder of Advent and the promise of the arrival/return of Christ, what are you seeing as it begins to look more and more like Christmas?